I’d say we now know where those “press” shots that showed off the thickness of the DROID Bionic came from, wouldn’t you? 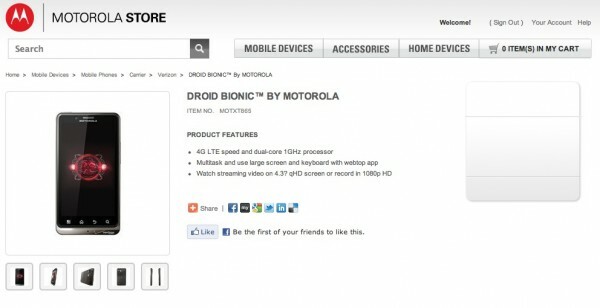 The Motorola store page for the device to be exact. With it just weeks from a release, it looks like Moto has started working on what we are guessing is the old CES Bionic’s page since the model number still shows as XT865. They did toss in a bunch of shiny new pictures of the XT875 version of the device though, but not much else is available. Thankfully, you already know all there is to know about the Bionic, especially after we gave you the full spec list in comparison to some of its competitors, this morning. Gallery after the break in case they pull it.